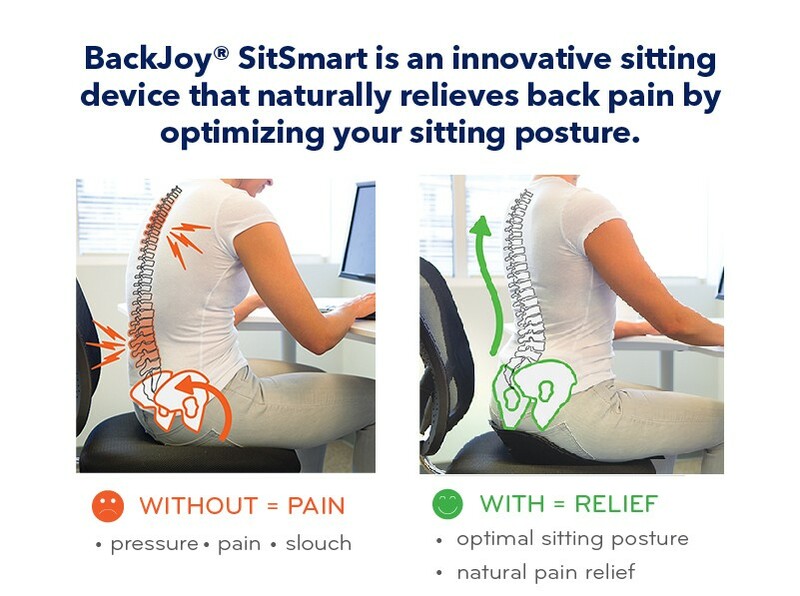 BackJoy SitSmart helps improve your posture by sitting right. Small and mobile, you can use it at home, in the office, in your car and almost anywhere. 1. Tilts the pelvis to correct posture. 2. Cups muscles to relieve pressure and pain. 3. 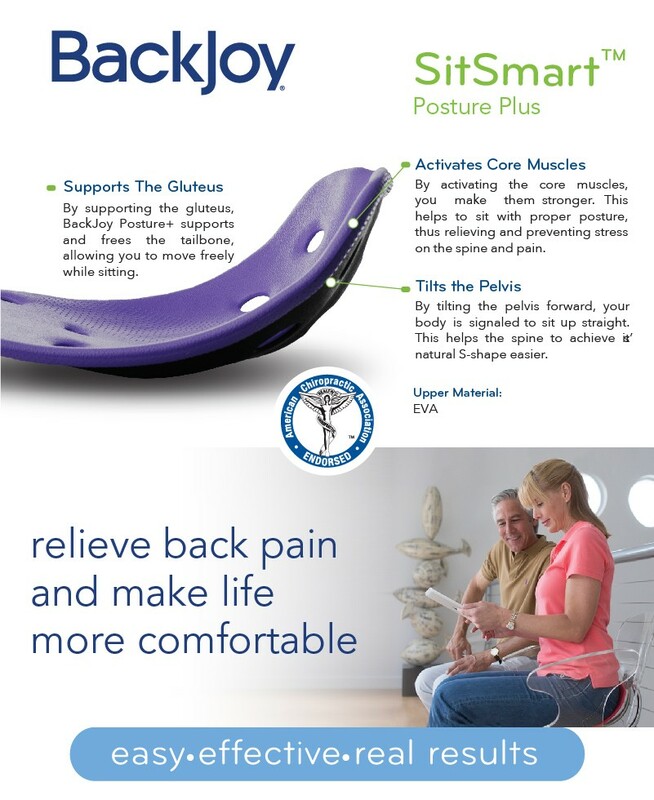 Floats you in comfort above the seat like a shock absorber for your spine. 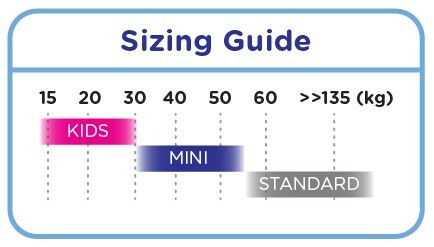 It comes in a standard size that can bear 55-130kg and mini size which can bear 30-55kg. Made from Urethane Foam (closed-cell EVA that is heat resistant, waterproof, and easy to clean). 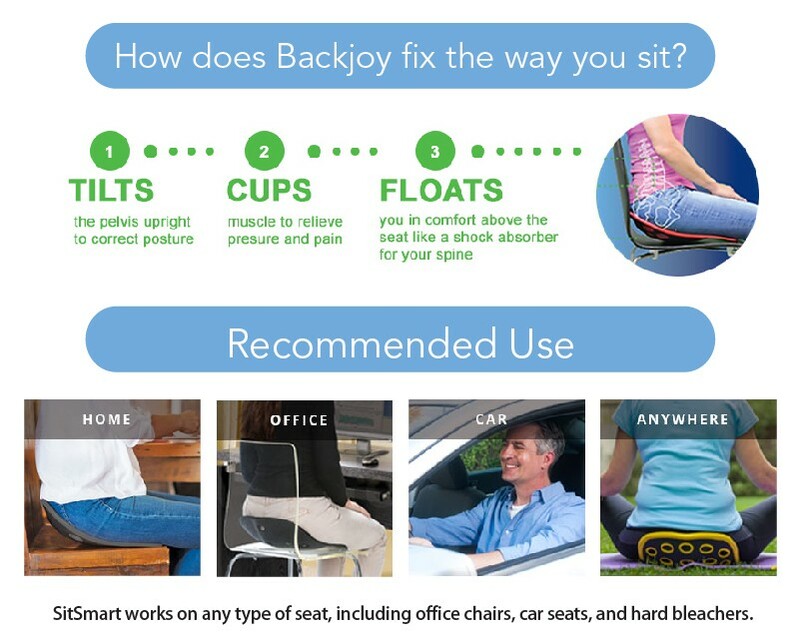 We are the authorized reseller of BackJoy in Malaysia.